Firstly, I'd like to thank everyone who participates in the Thursday Giveaways! I really appreciate the support, the kind words, and positive interactions! This week meant a lot to me, as there were so many people who left such glowing comments for things that I created with my own hands. I love the opportunity to share new products, jewelry components and various jewelry-making related paraphernalia – it is made that much sweeter that there is a receptive community who is willing to participate and make the giveaways a success! The winner for this past week's Thursday Giveaway featuring the new coin pendants from my Shop is Gaea! Congratulations! Please send me your address and I'll get your prize in the post! Be on the look on Thursday for another chance to win! 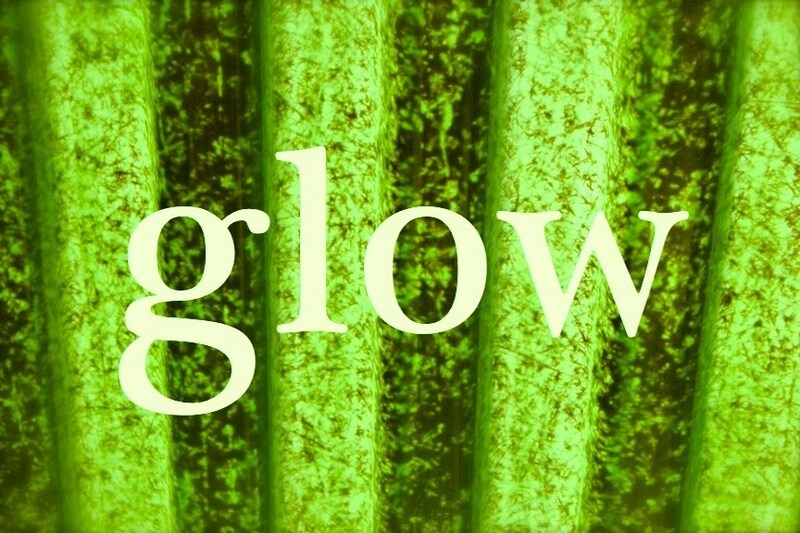 This week's word is "glow". Create a piece of jewelry, a work of art, or take a picture that, in your opinion, best captures the meaning of the word. Think about the word and its different interpretations and how it makes you feel. Translate it into whatever medium you'd like and then post about it on your blog. Once you've uploaded your blog post, copy and paste the URL into a new comment on this post. Be sure to check out what others are making, inspired by the weekly word. Don't delay; you have a week until the new word is posted. I've carved six new designs. Well, actually... I carved five new designs and redid one. I've made a limited number of each design in copper and they are available in my Shop right now. 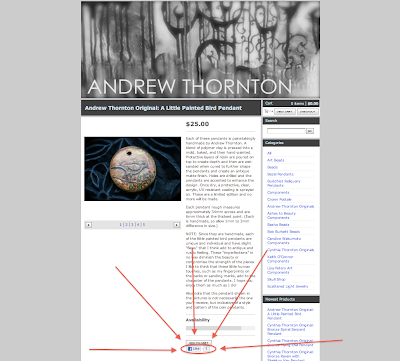 CLICK HERE to see the selection of Andrew Thornton Originals. When I designed the little dove pendant, I envisioned it as a focal of a necklace. So I included three holes. Two for stringing and one for dangling. With the butterfly pendant, I placed the hole a little off center to give it a more fluttery look. I did a light flame-polish to bring out the details on the pendants and I think this one looks particularly nice with the slightly iridescent finish. I'll be honest when I say that I'm a smitten kitten with the Shatter Star pendant. I was thinking about a lot of different things when I created this piece. I was inspired by quilts, Pennsylvania Dutch hex symbols, and Midcentury Modern Atomic stars. I'm quite pleased with the end result! Sometimes I start off with an idea of how the finished component will look on its own. Other times, I picture a finished piece first and create the component to fit within that idea. This tree of life link sort of grew out of a simple image of a bracelet with braided cord and beads with this as the focal. Sometimes a combination of words will spark an idea. I love the title "Wings of Desire". I have a vague recollection of reading that book in high school, but the words that make up the title are what really stuck. The Wings of Desire Focal is, I think, a successful translation featuring a flaming winged heart. The last "surprise" is a new take on a recent piece. 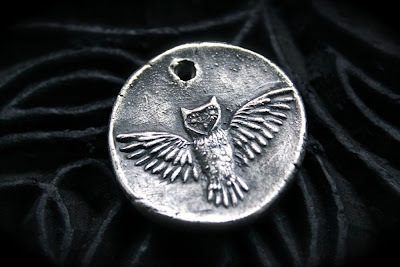 The original Owl Medallion (which I have one left of) was quite popular. But the mold broke, which turned it into a very limited edition. I'm sort of glad that it broke though. While it was sad at the time, it forced me to address some of the things that I wanted to change about the original. Particularly the size and weight of the piece. 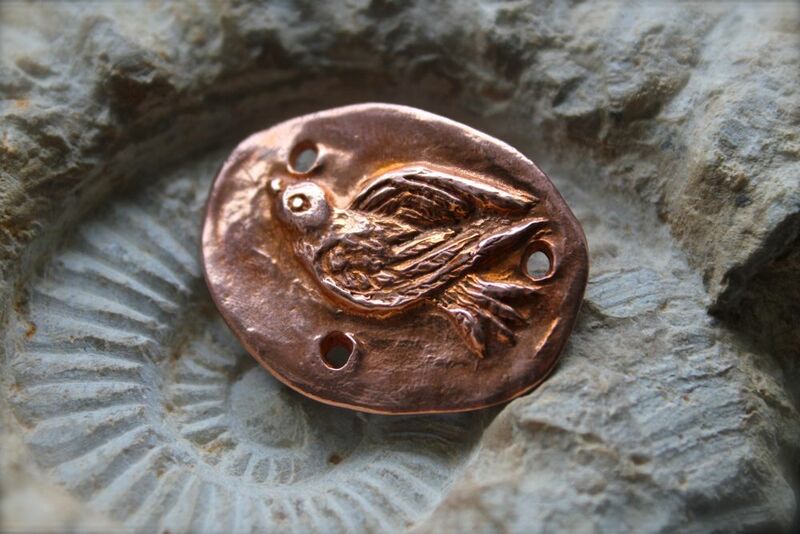 The Owl Redux pendant is lighter, smaller, and includes more accent details. Happily, I was able to keep my favorite details and overall design of the chubby little owl pendant. I guess this is just another example of how a piece can be inspired. Featured Designer, Genea, creates some very happy beads and shares how she works them into gorgeous jewelry pieces! Find out how you can use your beading skills to help raise money for an Autism center. Art Bead Scene is having a giveaway. Come check it out! 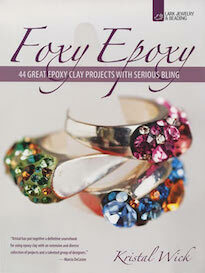 It's jewelry "Re Do" time and a giveway of the finished piece. 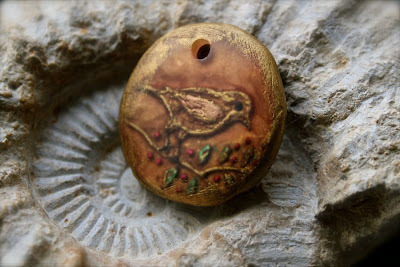 An acorn is the inspiration for a new thing in epoxy clay. It's a Tangle Tutorial. Come make a pair of "Well-Loved" earrings! Lumber everywhere! Melanie's wood-grain components are popping up in Beads 2011, on the Vintaj blog as the Art Bead Partner of the month, and at Art Bead Scene in a huge giveaway! Lorelei's birthday brought big changes to her jewelry studio this week, come on over and watch her vlog. Resin + chocolate = great new bezels! Jean had a wonderful time creating a necklace set using both Artbeads and Earthenwood Studio components together, as she a blogging and design partner for each! See what she designed ! You might think the end result is as as yummy as she does !!! Stick beads, gemstones and wood earring findings inspire a necklace and matching earrings - both made using the same wood findings! Andrew hosts one of the biggest Thursday Giveaways EVER! 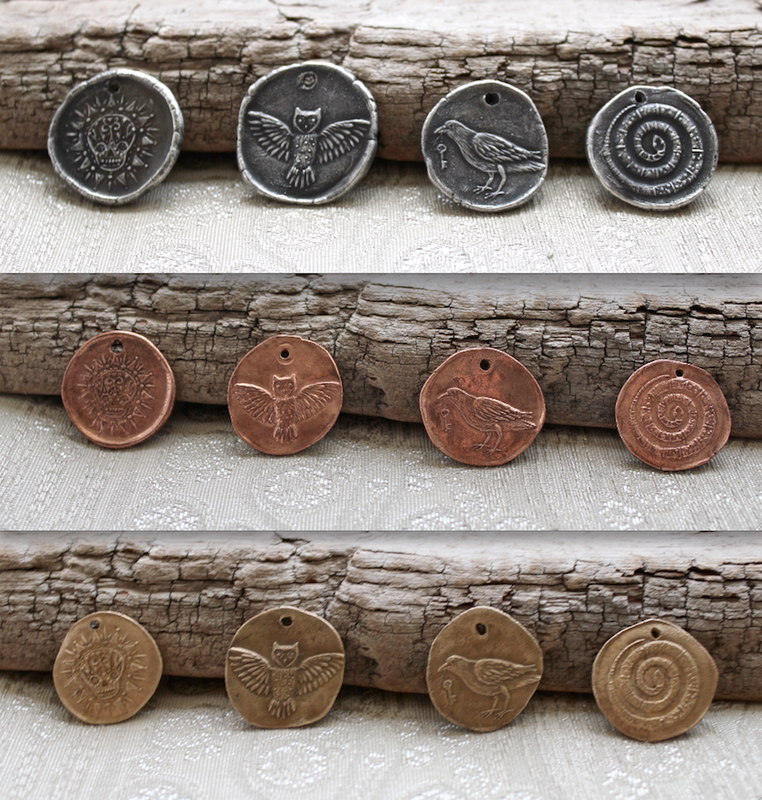 You could win TWELVE coin pendants from his Shop! It's been raining here pretty consistently for the past few days. The air smells sweet and loamy. The tight buds of the peonies are about to burst into bloom. The cats lounge near the door, watching the birds flitting in the rain. There's a calm, sedateness that seems to permeate everything. Of course, I'm on deadline. Which basically means that everything, BUT the studio is calm. The kiln is full, the tumbler is rumbling, and I'm trying to focus on writing instructions and class proposals. Whether or not I get everything done (on time) that needs to be is anyone's guess at this point. I'm hopeful and optimistic though. I will say that I've got a surprise for Sunday. Actually, six surprises. I'm really excited about them! And on that note... I shall return to work. This week, one lucky winner will take home TWELVE coin pendants courtesy of my Shop! My sister, Cynthia Thornton, carved the original molds of the four designs. 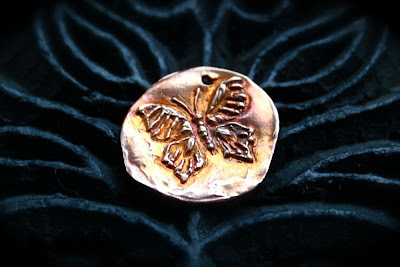 I have been making pendants from the molds out of bronze, copper, and porcelain with a fine-silver coating and they are available exclusively in my Shop. I'm really excited about them and hope you are too! The winner will take home a set of four in each material! The prize has a value of over $220!!! This is probably one of the biggest Thursday Giveaways EVER! CLICK HERE to see the full selection available in my Shop! To win these awesome pendants is easy! All you have to do is leave a comment on this blog post. One lucky winner will be randomly selected from the comment section of this post on Monday (May 30th) at midnight EST. Anonymous comments won't land this prize, so be sure to include your name and email address if it doesn't already appear next to your comment. This giveaway is open to all participants, including international readers. Bonus Points: How bad do you want these pendants? If you're seriously lusting after them, you can earn additional entries to win by blogging, updating your Facebook page, and/or Twittering about this Thursday Giveaway. Don't forget to add you act of social media kindness as a SEPARATE comment to this blog post for your extra shot at winning these pieces from my Shop! 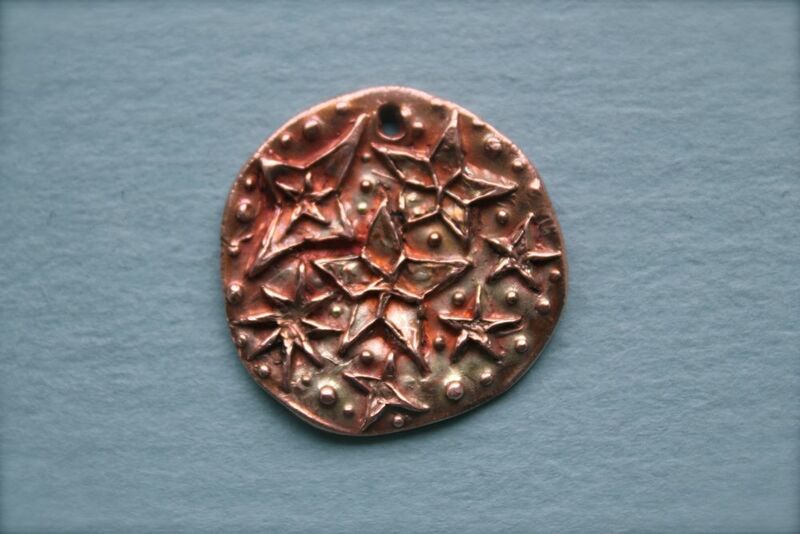 Were you one of the folks who missed out on the first wave of coin pendants carved by my sister, Cynthia? If so, you're in luck! 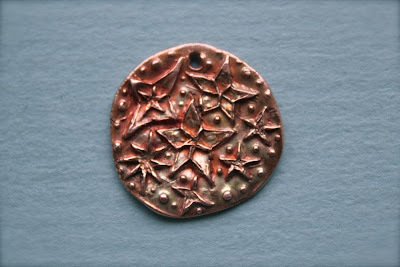 I've recently restocked my Shop with more coin pendants in copper, bronze, and fine silver-coated porcelain! CLICK HERE to see them all and to get your's while you still can. I've been carving out a little bit of extra time to start some seeds. I've got marigolds, morning glories, and mammoth sunflowers started. (From the names, it doesn't look like I moved from the "M" section.) As I've been coaxing these seeds into plants, I realized something. This process is very much like being a creative freelancer. One starts the process by collecting seeds. As a freelancer, you collect ideas. Then you sow your seeds with the best intentions. Sometimes you can give them a head start by doing extra work beforehand, but most of the time you've just got to plant your seeds and hope for the best. I've noticed that the ones that come up first are the ones collected from last year's garden. With ideas, the ones that come quickest are ones that have been based in previous experience. Not all the seeds will take. Some of them will be duds. But this is still an exciting time, as there's lots of new life and new projects. As the days go by, the sprouts might be crowding each other out and this is when it starts to get hard. You have to pick and choose which look the healthiest and are full of the most potential and transplant them into their own containers. Sometimes they thrive and other times the shock is too much and the new seedlings die. This is where the more information you know comes in handy. Knowing things like how much light and water the plant needs, and the what the ideal soil conditions are, improve the chances of survival. As with any project, the more you know, the better prepared you are. Still, a strong wind could blow or you could drop the tray and ruin the lot. Sometimes you're lucky; with hard work and nurturing, the plants grow strong and beautiful. As they mature, they create more seeds to be planted next year or that can be traded with other gardeners. The best is when you walk out into your garden and you are surrounded by the beauty of your efforts – a design unique and shaped by the actions of our lives. Check out these awesome NEW Chunky discs from SueBeads. I saw them on her blog and instantly coveted them. Aren't they lovely? I can't wait to work with them. She's etched the glass in the larger discs, which I quite like. 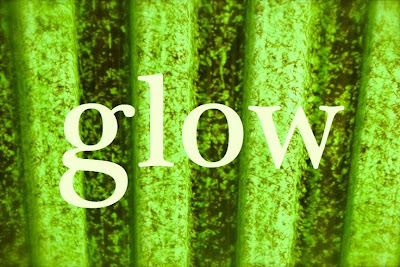 I think it brings out that acidic, kryptonite green – making them almost glow. The smaller discs are charming as well. They've got a great speckled, almost terrazzo tile look to them. Head over to her Etsy shop and get some (unless she's already sold out)! Do you know Barbara Lewis? She's the creative mind behind Painting With Fire and is coming out with a new book called, "Torch-Fired Enamel Jewelry: A Workshop in Painting with Fire "! 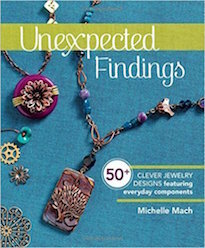 To celebrate the release of her book, she's hosting a giveaway on her blog. You can win a prize package of enameled beads (of your color choice) valued at over $75! 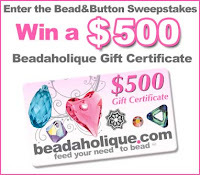 CLICK HERE to see how you can win these great beads! 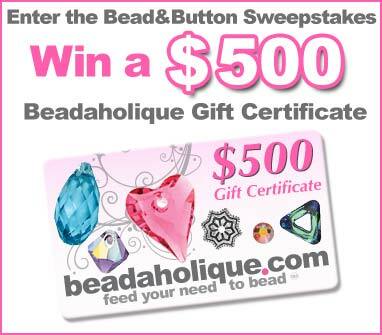 The fine folks at Beadaholique have teamed up with the delightful bunch at Kalmbach Publishing and the Bead & Button show to offer a great prize! Up for grabs is a $500 gift certificate! Imagine all the things you could get with that! To find out how you can win, CLICK HERE! The winner for this past week's Thursday Giveaway featuring Kim St. Jean's Metal Fold Forming class from Beaducation is Ellen of Limelight Designs! Congratulations! Please send me your address and I'll get your prize in the post! Be on the look on Thursday for another chance to win! I took a short stroll around the property after a windstorm blew threw. I checked to see if any branches had fallen and if the plants were damaged at all. Fortunately, everything was good. My walk was cut short by another downpour of rain. Above is a shot of a Centaurea montana bluet flower. I really love the bluish-violet florets coming out of the top of what looks like an armored bud. It's actually one of the first things we planted here. I had gotten it at the annual plant auction at the Botanical Society of Westmoreland County and it came in a plastic grocery bag. By the time it was put in the ground, I was not overly optimistic that it would survive. Luckily though, it held on and is growing well. Yesterday, after the field trip to Duff Park in Murrysville, we came home to do a little planting. When we had stopped to pick up some mulch, I saw a forlorn hydrangea that was left over from Mother's Day and deeply discounted. It came home with me and we put it at the base of the porch. The flowers can turn various shades of cream, green, blue, pink and purple depending on the acidity of the soil. I'm considering going back for some of its brothers and sisters to experiment and get the full range of colors. We also put in another circle. Last summer, we put in a circle of hellebores. This time, we put in columbine flowers. I know that technically, as far as garden design goes, it's a bit of a faux pas to put only one kind of plant in a flower bed. When designing flower beds, it's more aesthetically pleasing (and sometimes more beneficial) to plant a variety of companion plants for year-round blooms. However, I sort of like having each little circle devoted to a certain type of plant. There are twelve different varieties of columbines, but they are segregated from other plants I might have put in with them. I like that I can go out and monitor each circle, knowing exactly what I'm looking at. It's almost as though we're creating our own botanical gardens one circle at a time. 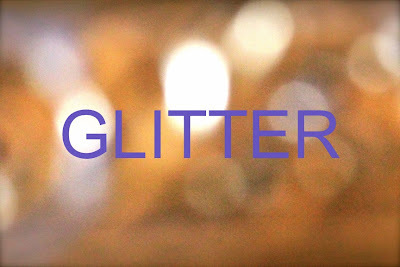 This week's word is "glitter". Create a piece of jewelry, a work of art, or take a picture that, in your opinion, best captures the meaning of the word. Think about the word and its different interpretations and how it makes you feel. Translate it into whatever medium you'd like and then post about it on your blog. Once you've uploaded your blog post, copy and paste the URL into a new comment on this post. Be sure to check out what others are making, inspired by the weekly word. Don't delay; you have a week until the new word is posted. Charlene shares a bracelet made with moon beads, owl charms and thoughts on how we are more alike than different. 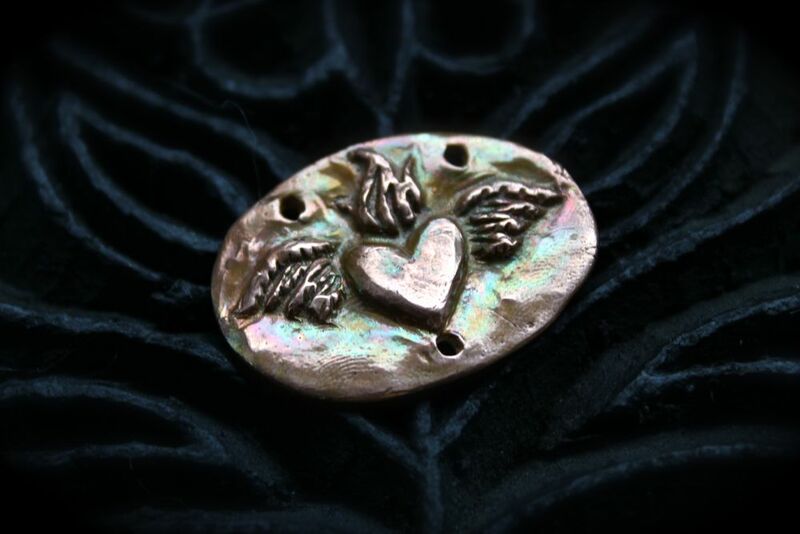 Andrew dishes on his secret ingredients for making affordable, but beautiful silver coin pendants! 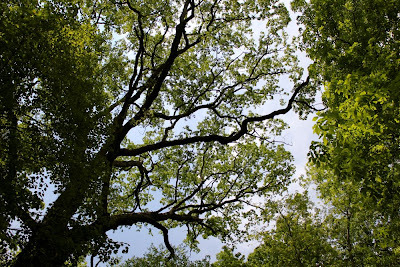 Today we went with the Botanical Society of Westmoreland County on a field trip to Duff Park in Murrysville, PA. Duff Park runs parallel with Turtle Creek and Route 22. 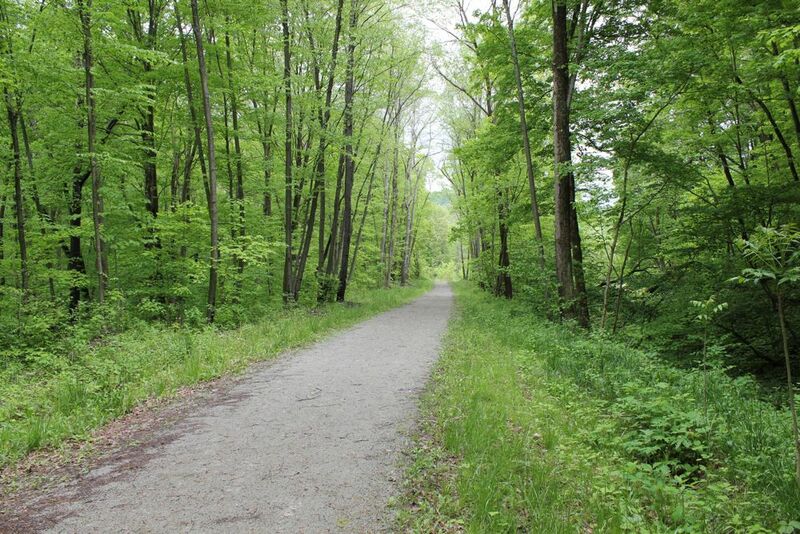 It's a natural area that's heavily wooded with a large variety of plants. The walk was led by Botanical Society member Pia Van De Venne, who is also the Volunteer Coordinator for the parks in Murrysville. 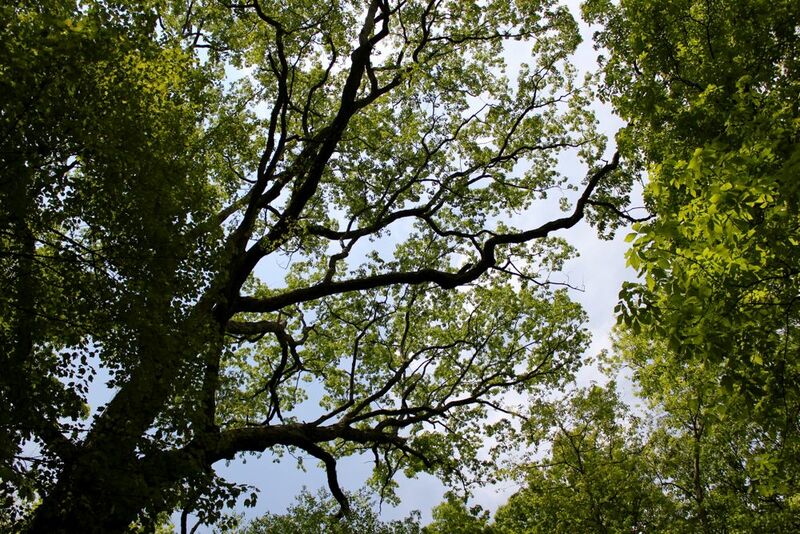 Pia specializes in native plants and the removal of invasive ones. CLICK HERE to read the article about Pia in the Murrysville Star. It was nice to enjoy the beautiful day and learn more about the plants in the area, especially with such a knowledgable crowd. I did recognize some plants from our field trip last weekend to the Westmoreland County Heritage Trail, which was really nice. Many of the spring flowers have faded, so it was particularly challenging to identify plants from other identifications, like leaf shape and size and plant location. I've added the photos taken on the walk to a Flickr set. CLICK HERE to check them out! 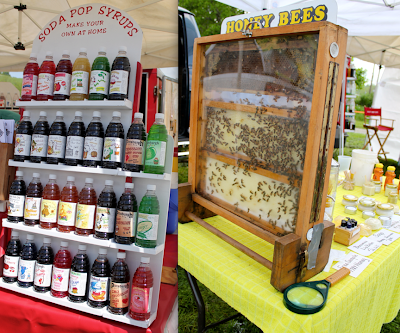 Earlier today we headed over to Ligonier for the first Country Market of the season. We got there just as they were about to close up, but still got a chance to take a quick stroll around. The market has a wide variety of locally-grown farm fresh produce, arts and crafts, and local plants. It is definitely something that we'll go to again in the future. Hopefully we'll make it over with more time to talk with everyone and investigate further. 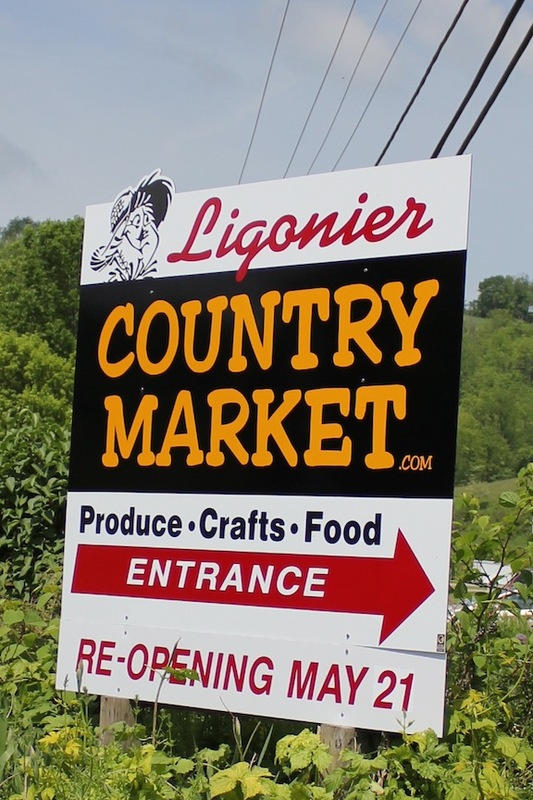 The Ligonier Country Market takes place every Saturday from 8AM to noon. It'll run from now till October 8th, spotlighting over 100 vendors. The market has been going strong for over 30 years! 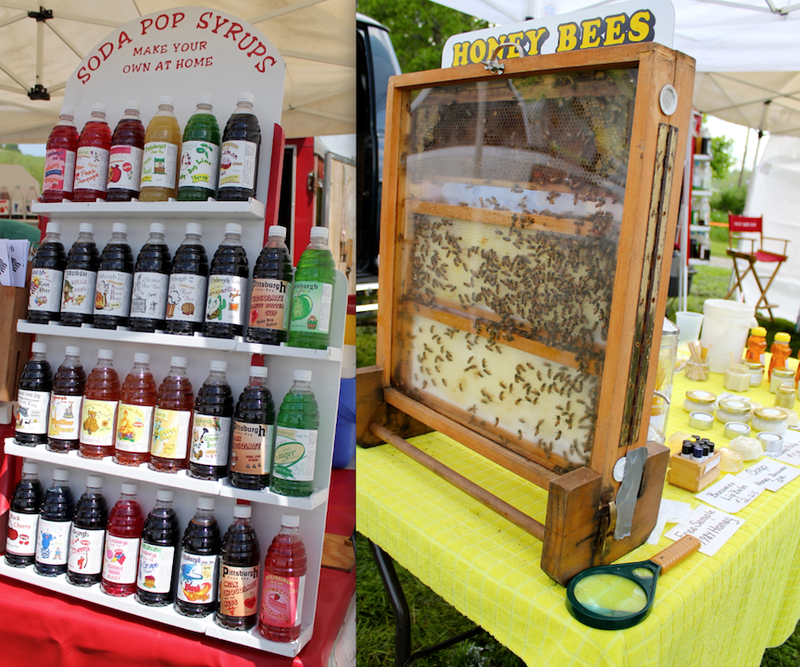 While we walked around the market, we enjoyed cold sodas prepared on the spot from Pittsburgh Soda Pop. I enjoyed their Butter Beer flavor. It reminded me of cream soda and buttery popcorn. We also stopped for some local honey. The vendor had some of his bees on display. Kids were making a game out of spotting the queen. Another of the stops was Paul Bunyan Sugar Camp for some dark maple syrup. They were great about finding just the right one at an excellent price. The awesome thing about the maple syrup was that it is from a small family-owned and operated company. The Enos family works hard to produce a top-quality product that tastes great! I think that's one the things I liked best about the market. The people who grew the plants from seeds, were there. The people who collected the honey and raised the livestock and grew the vegetables... all of them were there. The people directly responsible were there representing their families and businesses, sharing with the world the things the love best. I've given it the name, "Fools for Love Cuff Bracelet". Instead of duplicating the one she demonstrates exactly, I created mine with an "X" fold pattern that goes around the cuff. Originally I had thought that I might like to rivet some "O" shapes on, but once it was hammered out, I didn't think it needed it and thought that adding them would be a little overkill. The "mountains" turned into the perfect frames to stamp letters. I did a fire-polish patina in these stamped windows as well, creating almost a harlequin look with the rainbow iridescence. Kim shares a version of this as a bonus technique! (I also added a little Gilder's Paste to brighten up the ridges.) I'm really happy with the end result! If you'd like to learn how to make a cuff bracelet like this, CLICK HERE to check out Kim's Metal Fold Forming workshop on Beaducation! 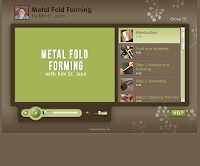 This week, one lucky winner will take home the "Metal Fold Forming" class with Kim St. Jean! The 81 minute long class is broken down into short segments and includes a downloadable and printable handout that accompanies the online workshop. 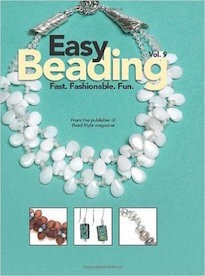 The prize, retailing at $24.95 for the online class, comes courtesy of the fine folks at Beaducation. I had the opportunity to take this online class and recommend it. 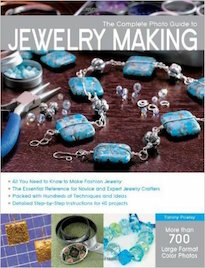 If you're not familiar with Beaducation, I suggest swinging by their "How Our Classes Work" page by CLICKING HERE. It's a great introduction to their online classes, how to use the site, and if you have the requirements to watch the online tutorials. BUT WAIT... Beaducation has some big news! They are turning some of their most popular classes into DVDs! The new DVDs will not only have the class, but will also include some of the FREE classes that are prerequisites! 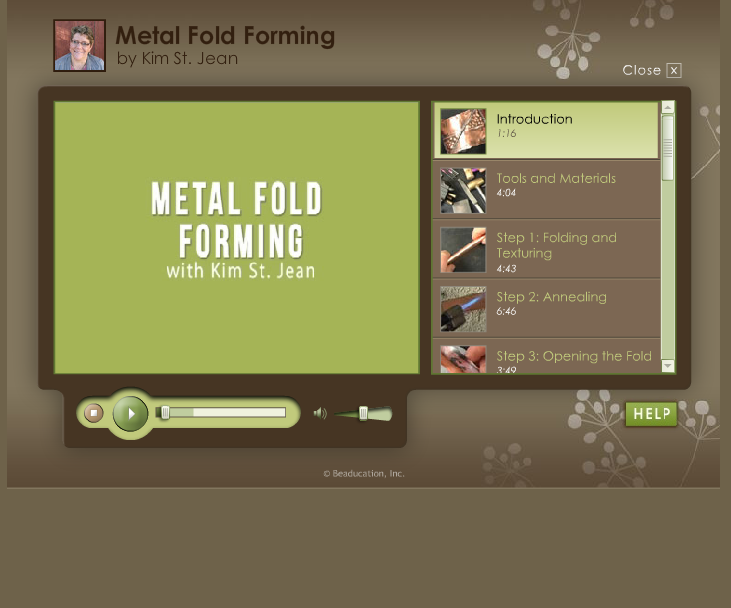 Kim St. Jean's Metal Fold Forming DVD is now on pre-sale and will ship around May 31st! 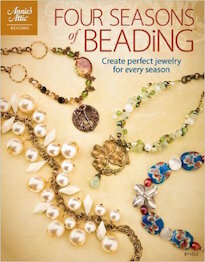 (All seven DVD classes will debut at Bead & Button and be available for sale in June!) CLICK HERE to pre-order the DVD today! The winner of this Thursday Giveaway will have the option of receiving this class as an online tutorial OR as a DVD! To win this fun and fabulous class is easy! 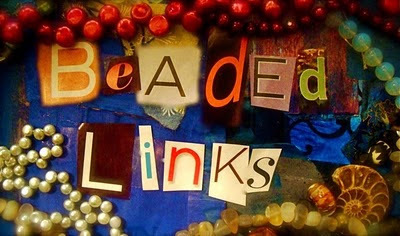 All you have to do is leave a comment on this blog post WITH what class you'd want to take on Beaducation. (For a full list of classes, CLICK HERE.) One lucky winner will be randomly selected from the comment section of this post on Monday (May 23rd) at midnight EST. Anonymous comments won't score this prize, so be sure to include your name and email address if it doesn't already appear next to your comment. 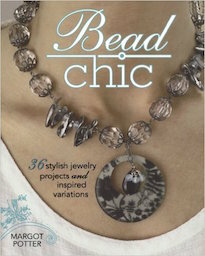 DON'T FORGET to include what your ideal class to take from Beaducation would be to be eligible to win! CLICK HERE to visit their website and to check out their full listing of classes. This giveaway is open to all participants, including international readers. Bonus Points: How bad do you want this class? If you're seriously lusting after these workshop on metal form folding, you can earn additional entries to win by blogging, updating your Facebook page, and/or Twittering about this Thursday Giveaway. Don't forget to add you act of social media kindness as a SEPARATE comment to this blog post for your extra shot at winning this class taught by Kim St. Jean. 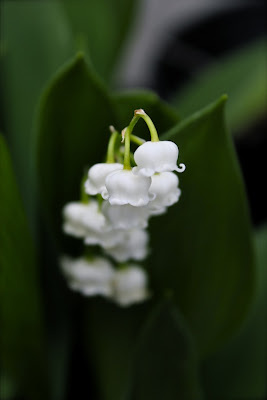 Last year at the Botanical Society of Westmoreland County's annual plant auction, I took home a lily of the valley. I thought it was a particularly good sign, since it was the month of May and it's an old French tradition to give a sprig of the flower for good luck on May Day. The fragrant bell-shaped flowers, in a little pot on the porch, have started to bloom. Whether or not you believe that they bring good luck, they are definitely a sure sign of spring. I was so inspired by the pure white flowers that I decided to create a bracelet. The focal of this piece is a sterling silver lily of the valley bead that reads, "porte bonheur". It was created by the talented Anne Choi. I think it fits the sentiment and meaning of the bracelet PERFECTLY! I've paired the Anne Choi bead with some oval-link chain, faceted pearls from Talisman Associates Inc., and a toggle from my family at Green Girl Studios. The pearls, full of dangling movement, remind me of the sweet-smelling blossoms. If you act now, you can also celebrate the month of May by receiving 10% off freshwater pearls from Talisman Associates Inc.! Kiki and Planettreasures were on the right track with their guesses of what these coin pendants Cynthia carved are made out of. They guessed "silver" and "some sort of metal clay". Both of them were partially right. But the biggest mystery ingredient in these pendants is... porcelain! That's right, these coin pendants (slightly larger and thicker than their solid metal counterparts) are mostly made of porcelain. Let's face it: silver is expensive. One coin like this made of solid fine silver would cost about $100 right out of the gate with materials. While it'd be highly luxurious, procuring the raw materials to make a single set would definitely break my bank. But does that mean kissing these pendants in silver goodbye? Absolutely, not! It just takes a little bit of experimentation. I knew that I wanted the fine details to remain. So porcelain was a natural choice. It takes detail great, is durable, and has a similar clay-body to PMC. It's also just porous enough to give the fine silver something to grab on to. The next obstacle was finding a way to finish them. A tumbler was out of the question. (I tried it anyway just to see what would happen. Let's just say, less than stellar.) Work-hardening on a bench block... also not a viable option. (I also tried that out to satisfy my curiosity and the results were even worse than "less than stellar".) So it came down to hand-finishing everything with an arsenal of bras brushes, polishing cloths, and good-old-fashioned elbow grease. Not an exciting prospect, but doable. To seal all the patina goodness in, I buffed them with Renaissance wax. I'm positively thrilled with them, because they look and feel just like solid sterling silver, but have a nice light weight and are much more affordable! 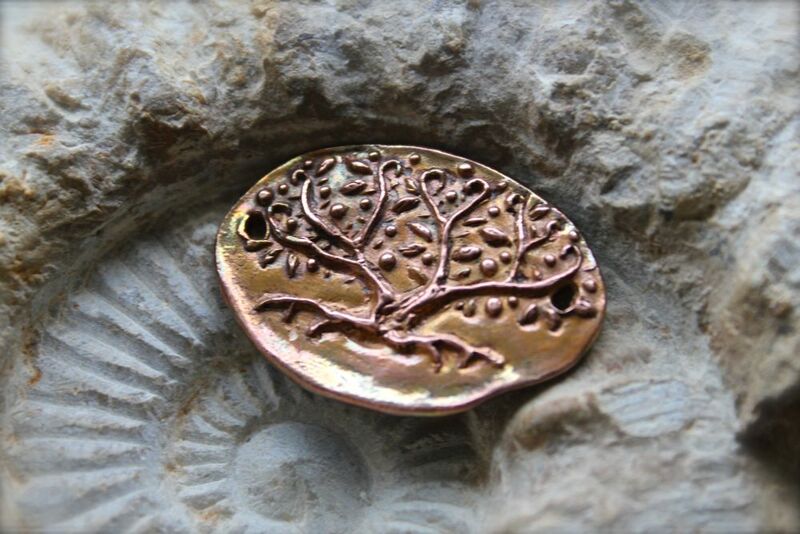 To see the full selection of coin pendants that my sister carved, CLICK HERE! The winner for this past week's Thursday Giveaway (On Friday) featuring a full set of Shabby Chic ImpressArt Metal Stamps from PJ Tools Jewelry is GrayGirlStudios! Congratulations! Please send me your address and I'll get your prize in the post! Be on the look on Thursday for another chance to win! It has been rainy and slightly chilly here. Days like these, I sort of walk around in a muddled haze. My mind is as cloudy as the sky, causing words to swim on the page and beads to blur together into a bumpy mass, leaving me to think only of when next I can cocoon myself in quilts and sleep. I'm not the only one apparently! I walked in on this scene: Paulo taking a break from his usual romping, bug-chasing and playing for a nap in my bed, snuggled under blankets. He had tucked himself in. His paws were extended, as if to say, "Come join me." Of course, on days like these, any gesture he could make would be a signal to cuddle. Something must be in the air. Or maybe in the water? Whatever it is, it's a delightful thing. No sooner had I put together a care package for Kathy Van Kleeck, than I should receive one of my very own! Mine came from Charlene Sevier of The Bead Dreamer. I met Charlene in Tucson during our Capturing the Moment Workshops and we became fast friends! Not only is she a talented designer, but she's also witty and a partial owner of a haunted mansion! How cool is that? Charlene put together a mix of old trade beads (very pricey, particularly the opalescent ones), a carnelian pendant from the early 1900's, an Ethiopian Coptic cross, and some batik-patterned bone beads. I'm definitely one lucky boy! Charlene also has a component shop which is definitely worth checking out. CLICK HERE to see what she's got available. The title of this blog post may sound snotty, but it's perfectly innocent! I just installed a feature in my Shop where you can now like pieces available with Facebook! It's pretty cool. Just take a look through my Shop and if you have the inclination, click the "Like" button under the "Add To Cart" button of each item. This is extremely helpful for me, because it lets me know what your favorite items are. I'm of the disposition of making limited runs of things and unless people tell me, I'll never make them (or anything like them) again unless you let me know. So CLICK HERE to take a ride over to my Shop and like me if you want. Yesterday, we went with the Botanical Society of Westmoreland County with the Westmoreland Bird Club on a field trip to the Westmoreland County Heritage Trail. It was a lot of fun to explore the area – a place I had never been before – identifying both plants and birds. I'll admit that my knowledge is somewhat limited on both subjects, so it is educational as well as a way to stretch one's legs and catch up with their fellow members. It was a perfect Sunday activity. I've added the photos taken on the walk to a Flickr set. CLICK HERE to check them out. 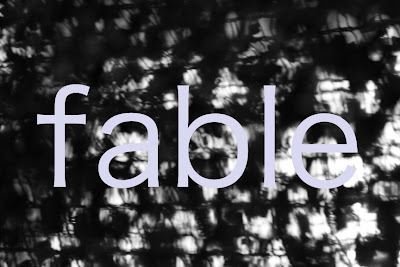 This week's word is "fable". Create a piece of jewelry, a work of art, or take a picture that, in your opinion, best captures the meaning of the word. Think about the word and its different interpretations and how it makes you feel. Translate it into whatever medium you'd like and then post about it on your blog. Once you've uploaded your blog post, copy and paste the URL into a new comment on this post. Be sure to check out what others are making, inspired by the weekly word. Don't delay; you have a week until the new word is posted. Barbe talks about Lark Books latest Call for Entries. 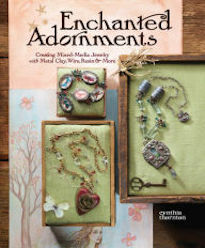 Cyndi shares her method of making a charm necklace from a vintage button! Sunday morning is one of my favorite times of the week. Usually I forego breakfast and jump headlong into work with a couple of cups of coffee every other day. But... on Sundays, things take on a more relaxed and luxurious pace. I turn on some good music, brew dark coffee and make a fabulous breakfast. This morning I made cinnamon rolls. To be honest, this took a little planning as the prep work has to be done the day before and the dough has to rest in the fridge overnight. It was worth it though! Few things make me happier than having a house filled with the exotic smell of cinnamon wafting up out of the oven with the day – the week – ahead full of possibility. I started this project shortly after I ran out of metal clay. I wanted to keep going, but only had polymer clay on hand. That's when I got the idea to press some out in polymer! I hand-painted each of them and coated them in layers of resin. This part took the longest, as I had to wait for the various layers to cure before adding the next. And then I wet-sanded... and wet-sanded... and wet-sanded until my fingers resembled prunes. (Maybe that part took the longest?) I then added some accents and then sprayed everything with a clear, protective spray. The result: a limited edition series of pendants. I call it, "A Little Painted Bird Pendant". Ten are available in my Shop! I can pretty much, without a doubt, be assured that I'm not going to make any more. While I LOVE the result, it was very time consuming and I have a book full of ideas that I'd like to start getting to work on. CLICK HERE to check them out in my Shop. 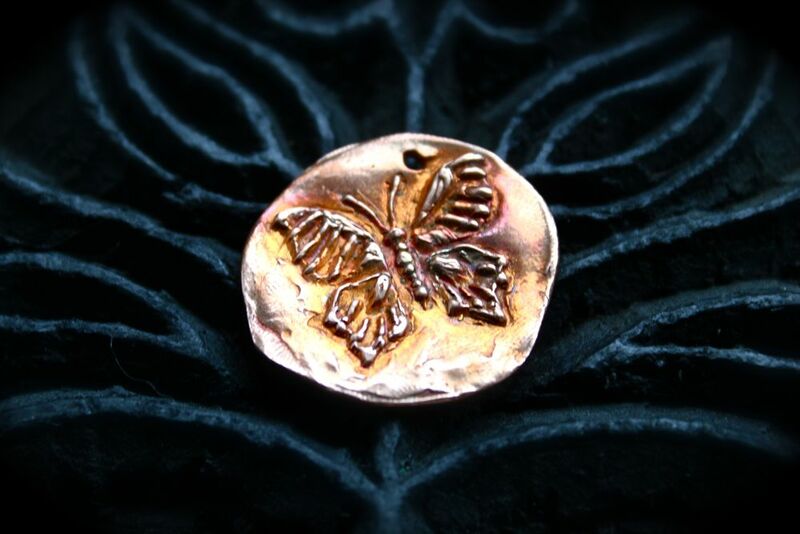 I also love this pendant, because I told myself a little story all throughout the process of making these pendants. It was the story of an artist who lived in a city and was tired of all things concrete and steel, and was most of all tired of always working. The artist would obsessively doodle and draw birds, and sometimes for fun, would hide around the city and amongst the piles and piles of work. One day the artist painted a little bird and the bird came to life. The artist followed the little painted bird into a doorway made of golden feathers. On the other side was fields of grass, forests of trees and... freedom. And here the artist lived happily with many, many, many feathered friends. Occasionally there are days when everything seems to be going right in the studio. (Knock on wood!) Even if things aren't going exactly as planned, like a battery dying or a spill, the results are so promising that it negates all of that. For the past couple of days, I've embarked upon an experiment. I wasn't sure that it'd work, but it came out swimmingly! I'll still have to do a couple of tests, but am really happy! Take a look at the photo. They're a sneak peek at what's coming to my Shop shortly. Now here's the fun part... guess what they're made out of! The new stamps that Cynthia carved came in the mail! As soon as the package arrived, I ripped it open and got to work. The coin pendants will be sold exclusively in my Shop. There are four designs: a flying owl, a sugar skull, a raven with a skeleton key, and a spiral serpent. They're really fantastic and even more lovely in person! I just finished up the test load and posted a few in my Shop. CLICK HERE to check them all out! 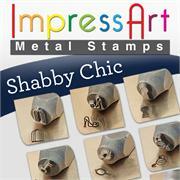 One lucky winner will take home the complete selection of "Shabby Chic" ImpressArt Design Stamps courtesy of PJ Tool Jewelry. (This prize has over a $75 retail value!) These are their eight newest designs and are precision-cut from carbon tool steel and hardened to last! 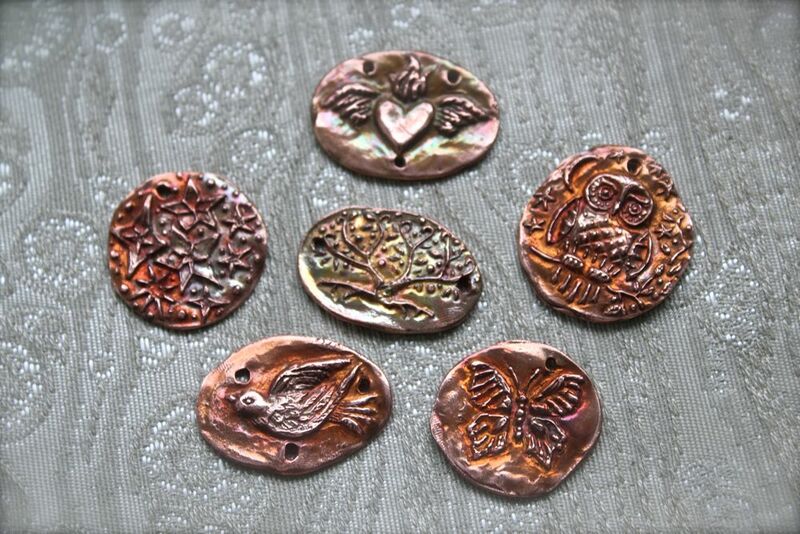 CLICK HERE to check out the full selection of metal stamps. 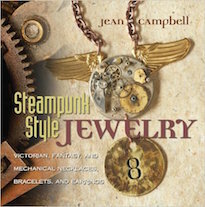 Don't forget to check out the rest of PJ Tool Jewelry's new site. They've created an online experience geared specifically with the jewelry-maker in mind. Not only do they have an extensive collection of metal stamps, but they also offer a wide array of anvils, hammers, tweezers, and other jewelry-making tools at affordable prices! CLICK HERE and explore their great online shop. To enter to win this lovely set of stamps from PJ Tool Jewelry, featuring fun designs like a birdcage, a key and a mirror, is easy! All you have to do is comment on this blog post. One lucky winner will be randomly selected from the comment section of this blog post on Tuesday, (May 17th) at midnight EST. (Since the giveaway went live late, there's additional time to snag this prize!) Make sure to leave your name if it doesn't already appear next to your comment for easy verification. This giveaway is open to all participants, including international readers. Bonus Points: You can earn extra chances of winning this cool set of stamps perfect for customizing your new jewelry project by blogging, updating your Facebook page, and/or Twittering about this Thursday Giveaway. Don't forget to add your act of social media kindness as a separate comment for your additional entry to win! EXTRA Bonus Points: Want another shot at winning this great prize? Head over to Facebook and "LIKE" PJ Tool Jewelry and report back here. Leave a comment after you "LIKE" them stating that you did and be entered for another chance at winning! CLICK HERE to visit their Facebook page.